I had expected to be taken with Bangkok, but I think Bangkok might have taken me. And, it all started with this view - from my hotel suite. 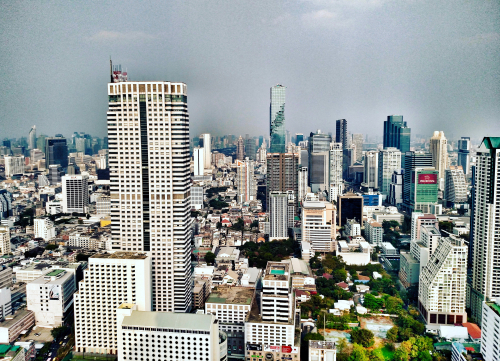 The city skyline from the 54th floor of the Lebua Tower Club. 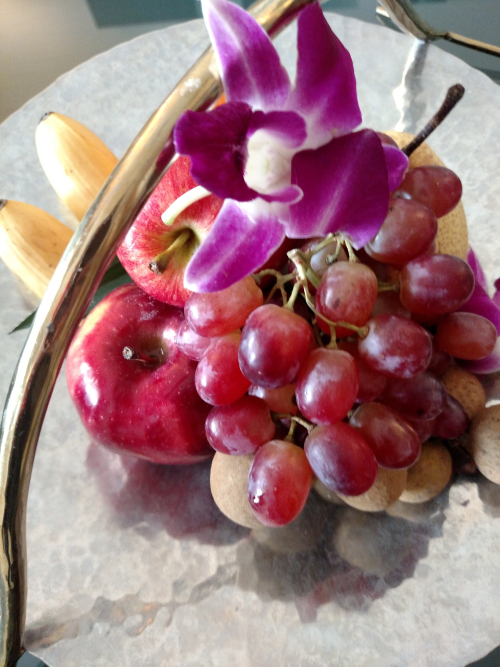 I was on the balcony, gazing out in amazement at the never-ending sea of skyscrapers, when there suddenly was a loud "Bzzzz..."
...a welcoming platter of perfectly ripe fruit. And, with another whoosh, the gentleman was gone. Oh, yes, I was in the right place. There was just enough time for a late afternoon dip in the pool and a G&T before heading out to dinner to Thong Lor district's Soul Food Mahanakorn. I'd heard good things. They weren't nearly good enough. My appetizer of Southern Thai Samosas was sublime, crackling crisp springroll wrappers tightly wound into triangles around spice-tinged lamb. One dunk into the mint-yogurt dip alongside and I was a goner. Then there was the Crab and Lemongrass Curry with Rice Noodles, a small bowl of incredibly fragrant, spicy crab curry stew. I gleefully spooned in rice vermicelli noodles to sop up every last drop. Now, those were just my first few foodie hours in Bangkok. Once firmly ensconced in my sweet hotel suite post-dinner, I happily drifted off to sleep, ready to take on the city in full-fledged tourist mode in the morning. 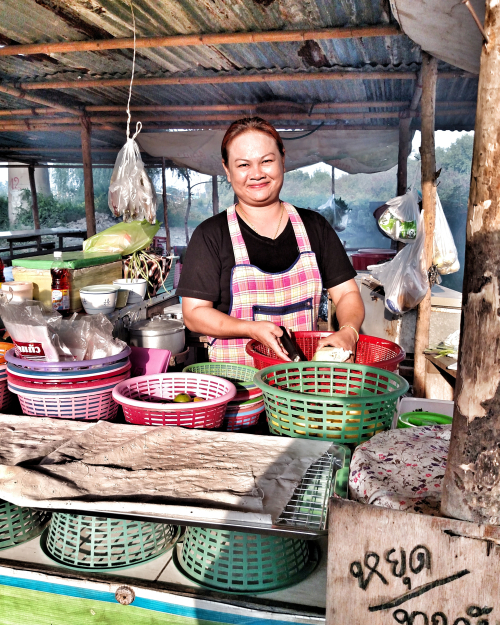 Yeah, we're talking about Spicy Papaya Salad expertly made only a few short feet from the railroad tracks. And, there were juicy, marinated Pork Skewers too. 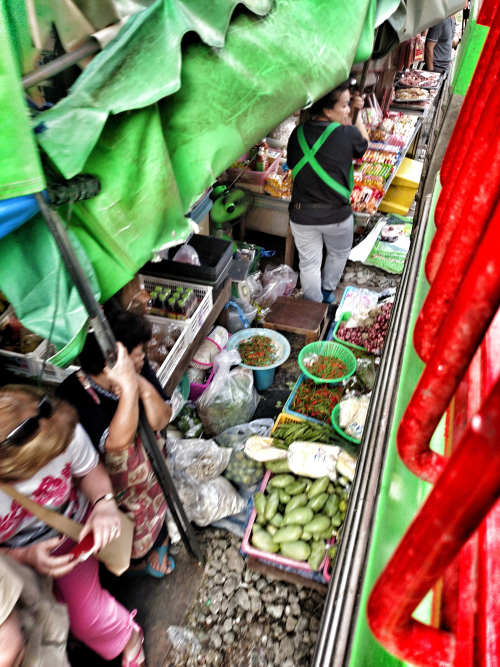 Yes, took that picture from aboard the choo-choo, watching the vendors at the Maeklong Railway Market quickly pull back their awnings and edible wares as the train pulled in, along with a thousand tourists snapping photos to catch the action. The day was far from over. 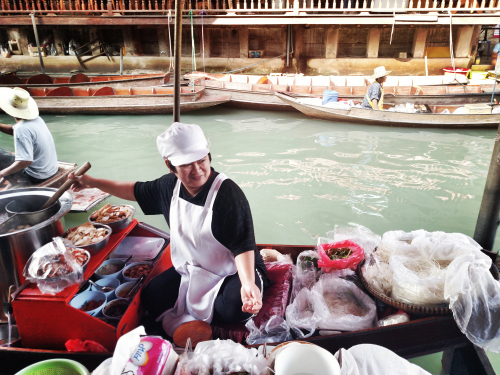 I took in other awe-worthy sights, including the glittering Grand Palace and epic Wat Pho temples. 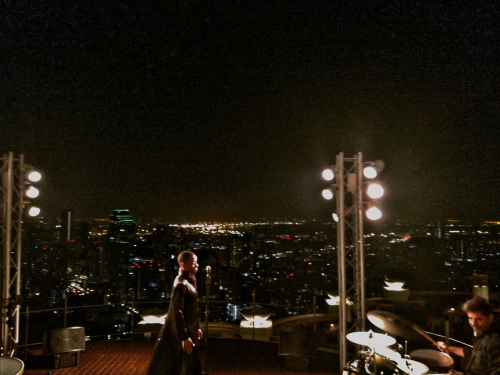 By the time I got back to the hotel, I was nearly too exhausted to check out Lebua's famous Sky Bar. Thankfully, I rallied and made my way to the 64th floor open air rooftop lounge. Greeted with a panoramic view of the city, twinkling at night, jazz playing in the background, how could I resist the pull of the rooftop's Perrier-Jouet champagne bar Flute? I couldn't. I didn't. It is the highest al fresco champagne in the world. I had no choice. Vintage champagne was happening. Happening big time. Toddling back to my room, I realized that I wasn't going to get back out into the city for dinner. Perhaps I'd been a bit too "big time" with the champagne. No need to worry though. An order of exquisite Pad Thai from room service did the trick and I soon hit the hay, catching some much-needed zzz's. Breathtakingly beautiful. 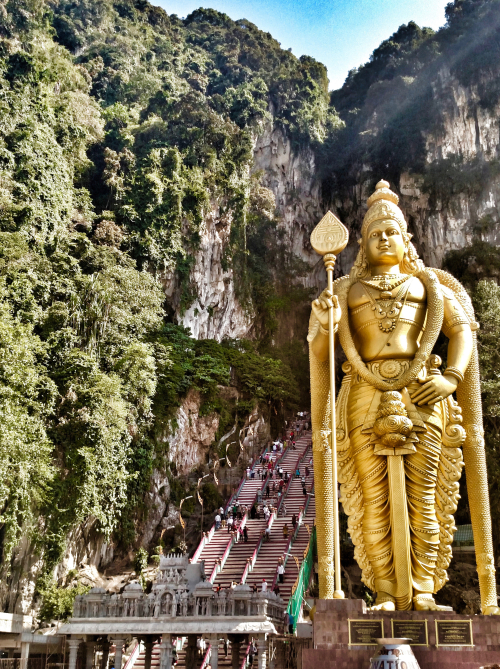 Looking up at the Batu Caves, Kuala Lumpur's legendary Hindu shrine, I was overwhelmed by its otherworldiness. Oh, yes. 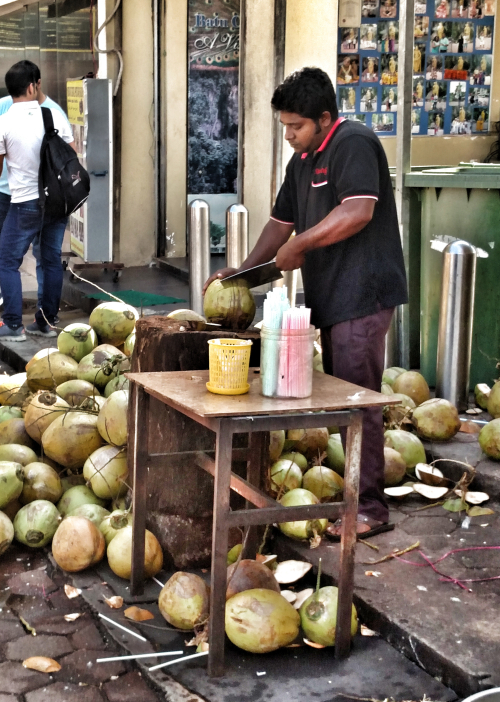 This is how coconut water was meant to be had. No bottles needed here. 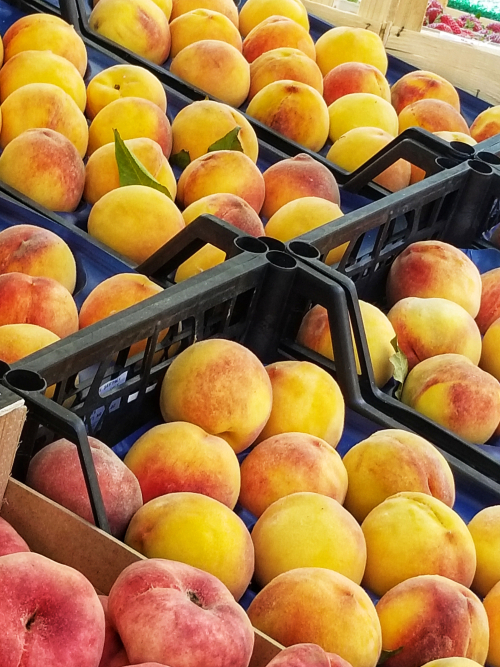 Just the real stuff, straight from the source. 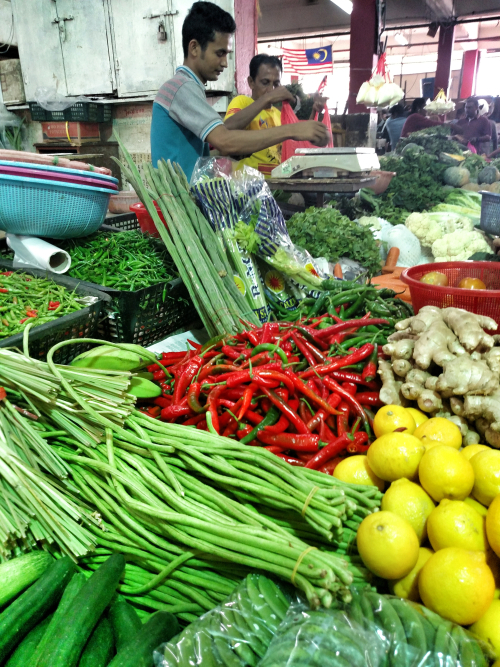 And, later visiting one of the city's bustling wet markets, it was clear that a great deal of gorgeous Malaysian produce is at-the-ready. Coconuts and pineapples are plentiful. I even spotted dragonfruit at a local supermarket. 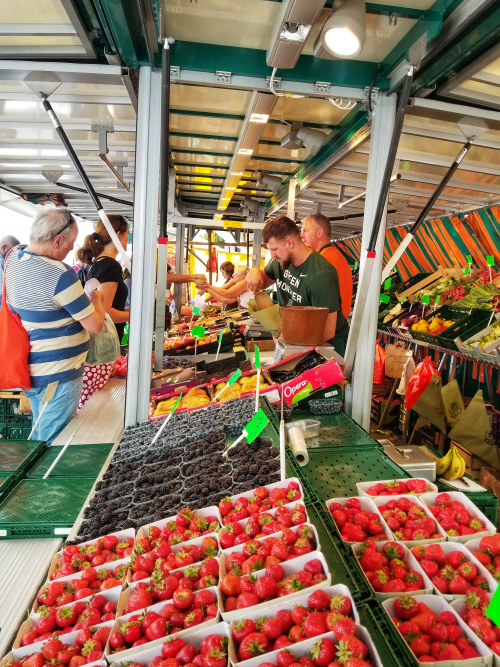 Yet, I couldn't help but notice that the locals were obsessed with one fruit alone - the stinkiest fruit on the planet. We're talking about durian. 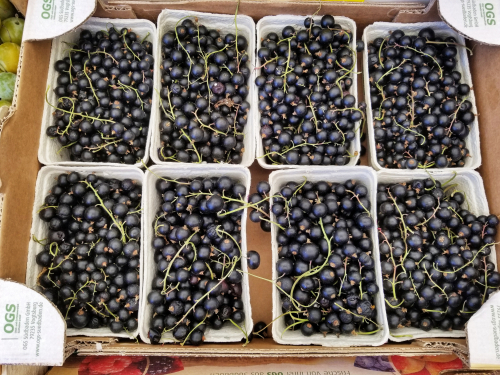 I have friends who rhapsodize about this custardy, pungent fruit. They're not alone. 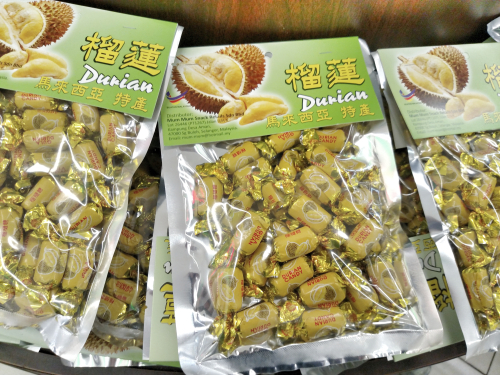 I saw durian candies, durian coffee, durian cookies, and durian chips crowding Kuala Lumpur market shelves. Elsewhere I spied durian tea, durian cakes, durian mochi, and durian ice cream. And, that's just scratching the surface of the country's durian fixation. So, I stuck with the coconut in all its many delicious forms. 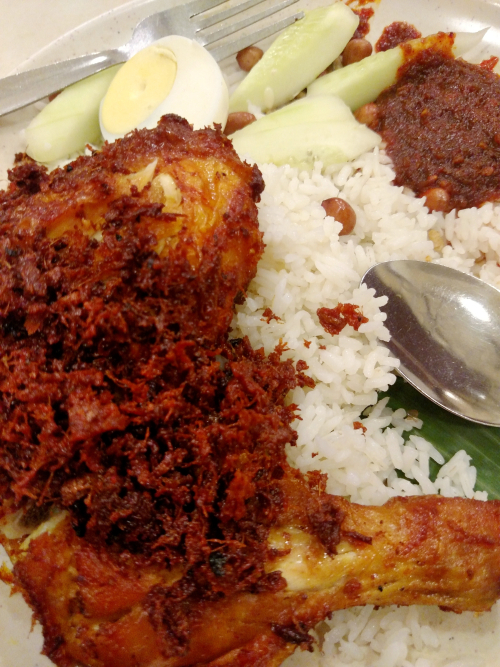 I not only rejoiced in drinking its water and spooning out its tender white flesh, but also enjoyed its milky essence in the beloved national dish - Nasi Lemak. This stupendous plate of rice, chicken, sambal chili, hard-boiled egg, cucumbers, peanuts, and dried anchovies is the product of Village Park, a place celebrated for its genius Nasi Lemak. I've already found a recipe which is reported to replicate their shatteringly crisp and spicy fried chicken, but I need to figure out how to make the dish's signature coconut and Pandan-scented rice at home. 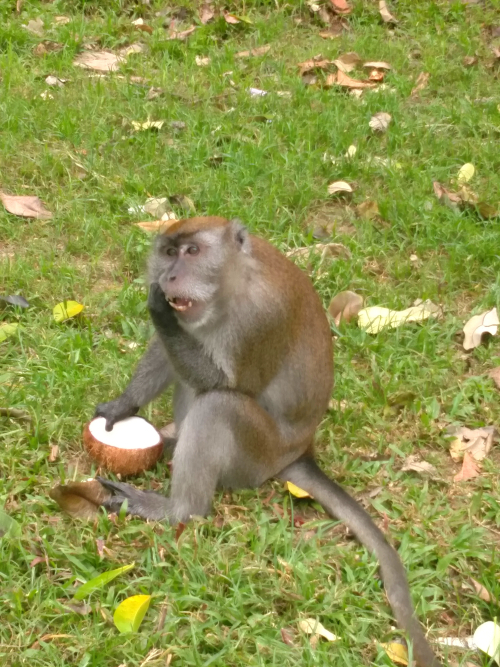 I think freshly squeezed coconut milk is one of the primary ingredients. I really think he's got something there. Mind you, he's also got something caught in his teeth. But at least that "something" is a bit of coconut goodness. No durian in sight. I'm with the wild monkey on this one. 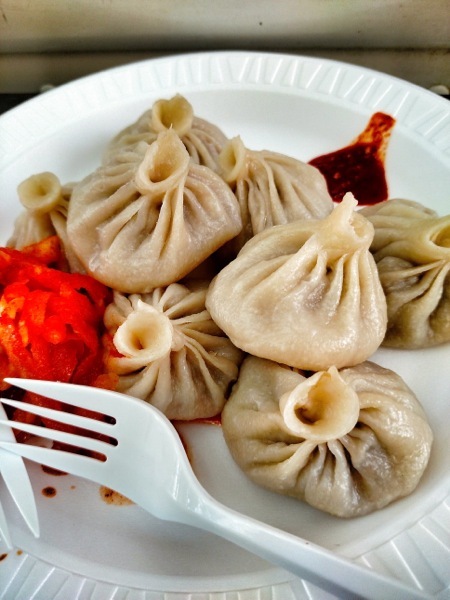 For example, I can't help but smile thinking about that plate of juicy Himalayan lamb dumplings from a Momo truck in Jackson Heights, Queens. Then there was the classic Porteño breakfast of a freshly baked Medialuna served alongside a serious cup of coffee, which I consumed fairly regularly when I was living in Buenos Aires this summer. 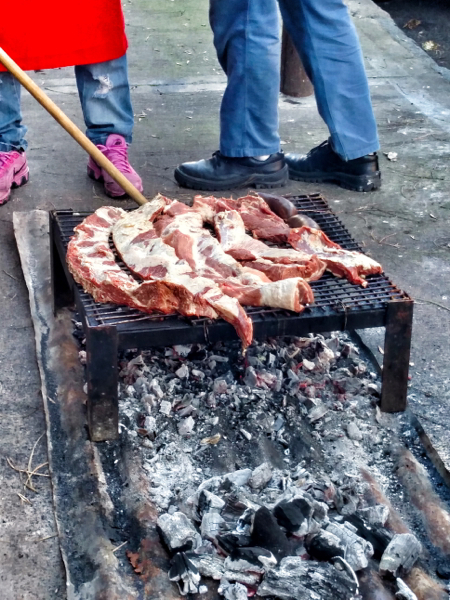 Once home, I tried my hand at recreating Argentina's great steak dinners at a pal's Brooklyn apartment, complete with wine from Mendoza and a Mallmann-esque fire pit in the backyard. 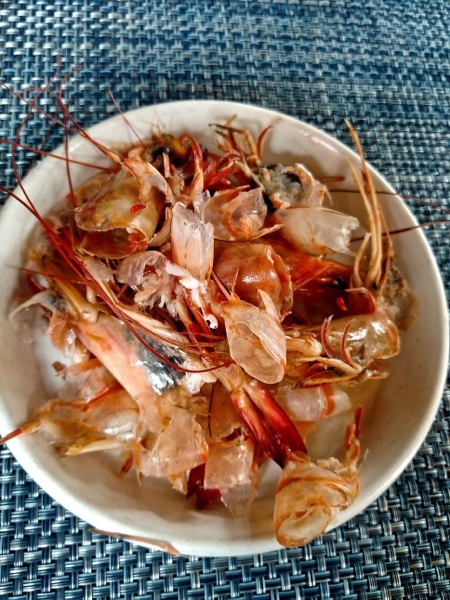 Just a couple of weeks ago, I made "all gone" when presented with a plate of chilled Gulf shrimp at Peche in New Orleans. 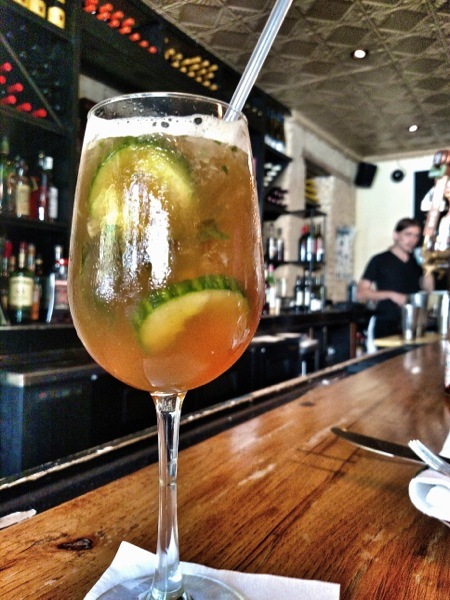 And then there has been the spirted New Orleans-style indulgence of a well-crafted Pimm's Cup at my Brooklyn local, Jack the Horse Tavern. Can only hope that I'll have a few more food and drink memories to regale you with before the year is out. 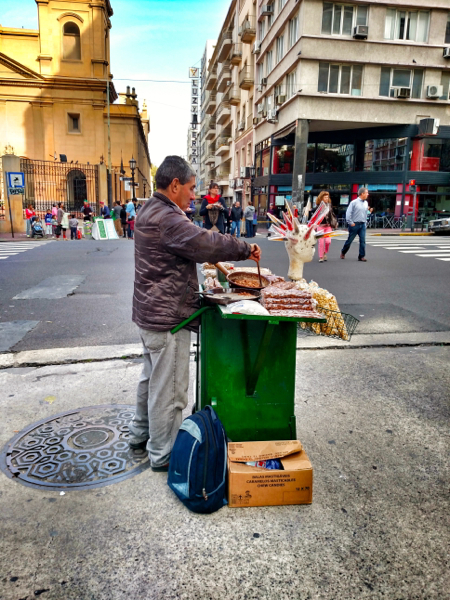 When considering the possibility of street fare in Buenos Aires, I was thinking along the lines of the gentleman above, who offers up lollipops in a handy styrofoam head and handmade candied nuts. Thought I might pass an empanada stand or two as well. 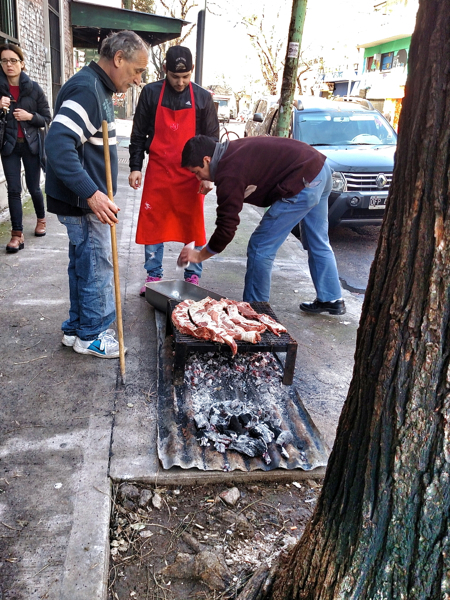 Carne made caliente on the streets of BA. Apparently, it is the Porteño way. 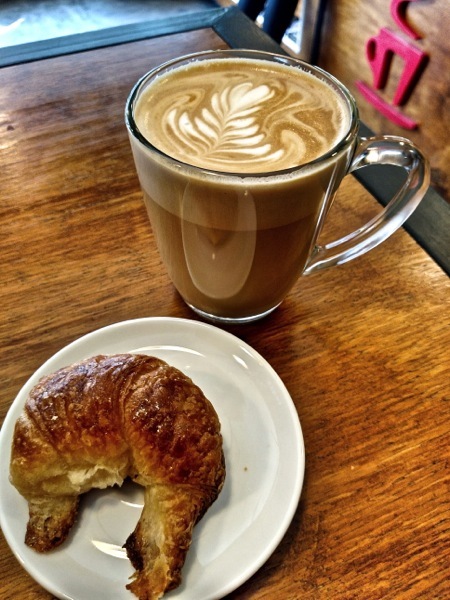 No, I am not talking about cronuts! I'm forgoing pastry for meat today. 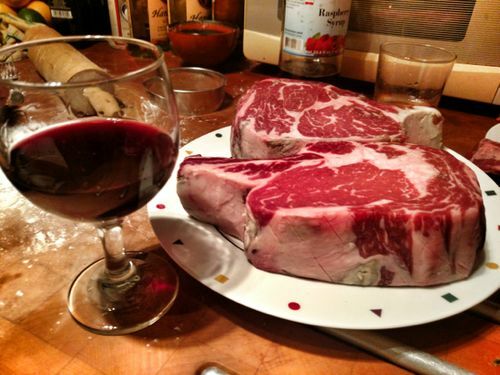 And, we're talking some serious meat. 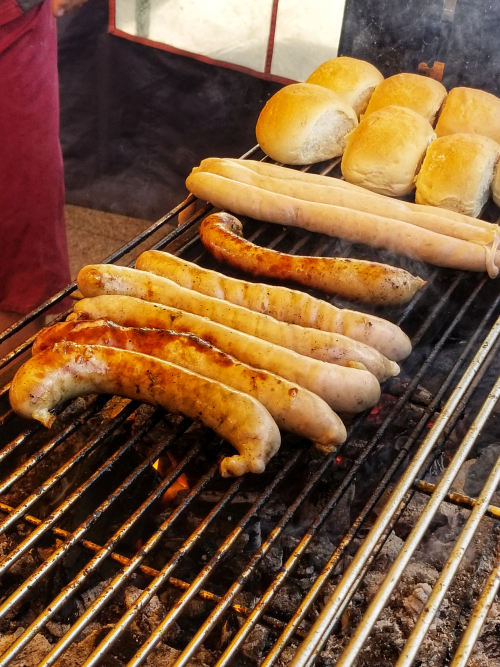 The meat was smokey and tender. 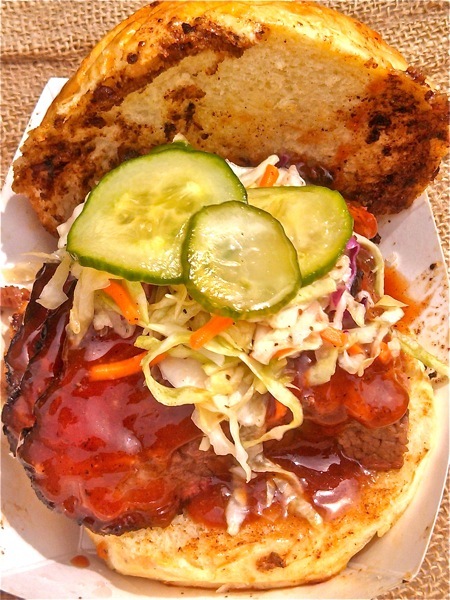 The brioche roll had been dipped in the brisket's own juices before the slices were piled on thick. The sauce was piquant and ever-so-slightly tomato-rich. The pickles were crisp and vinegary, as was the small mound of slaw atop. Yeah. This is a sandwich to love. 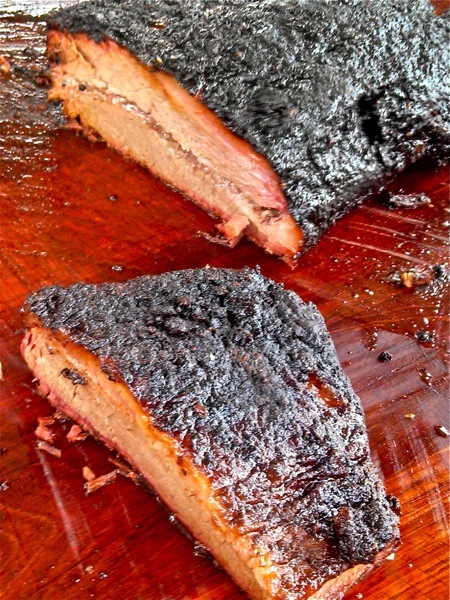 Now, I think I might need to brave the lines at the Mighty Quinn's new two-star restaurant in the East Village. That said, I'm sure it has nothing on the behemoth line at Dominique Ansel's Bakery for the cronut-crazed masses. Promise that this will be my last spherical-theme post for a while, but these babies warrant a shout out. 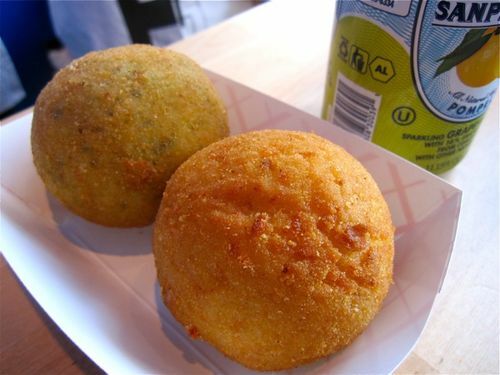 Crisp on the outside, tender and creamy within, Arancini Bros. knows their balls -- their rice balls, that is. 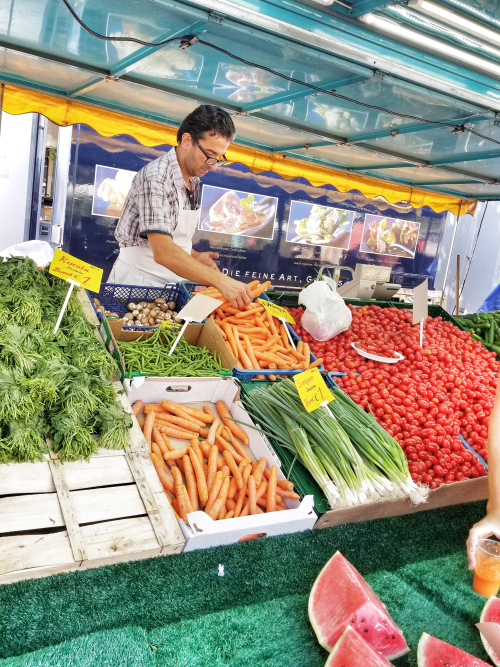 A tempting treat at Brooklyn's DeKalb Market, the one at the back was infused with pesto, sporting a center of bright cherry tomato and an oozing of Mozzarella. Up front, the soft arborio rice had been cooked with deep yellow saffron and its middle was graced with a zesty meat ragu with peas. So, I guess the headline isn't completely accurate. 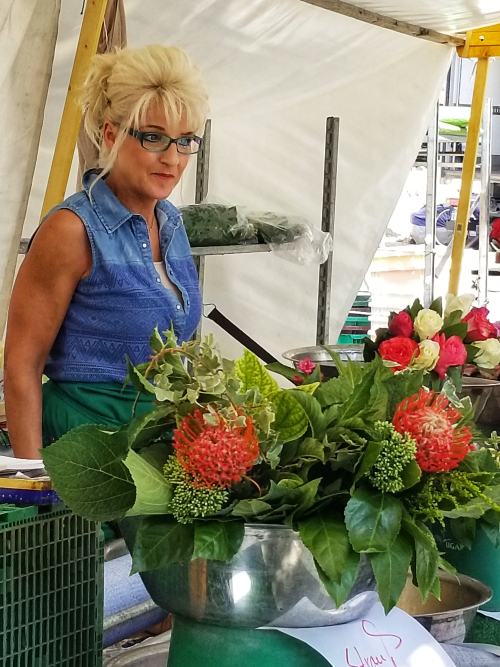 These lovelies were divine! My recommendation: Run out and get a pair! Tried something new this weekend when I met up with Mama Vamp in Philadelphia. 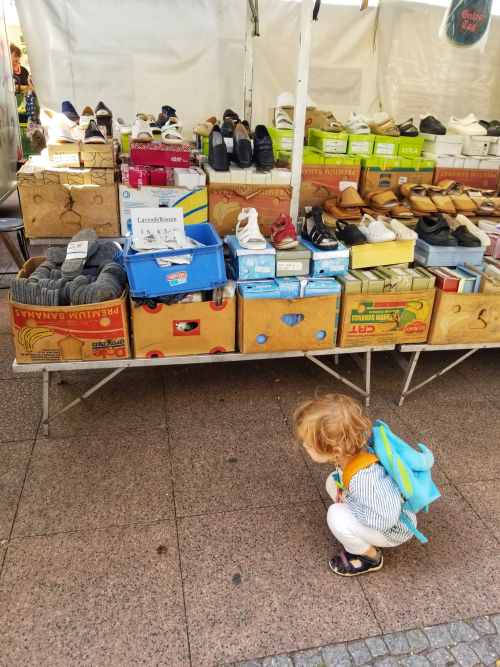 Instead of checking out the latest and greatest restaurants to make the scene in The City of Brotherly Love, we took to the streets. And, boy howdy, am I glad we did. I have beloved recollections from my college days at Penn of filling up on fantastic street food. 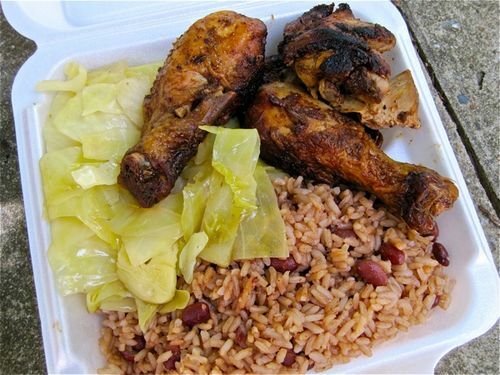 The grub was good, fresh, cheap and piled high enough in white styrofoam shells to account for both lunch and dinner. 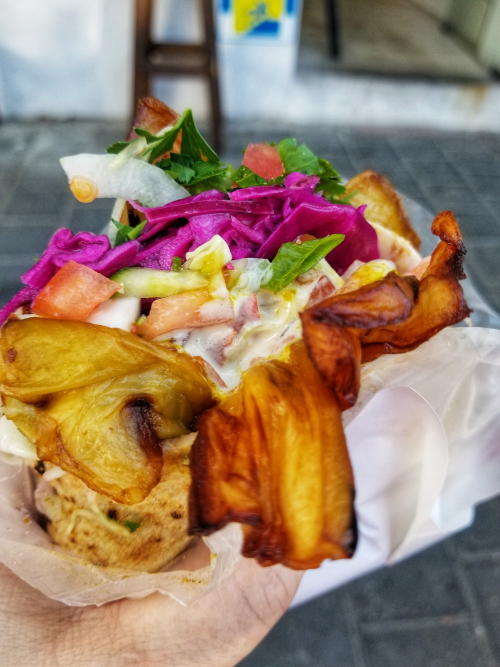 After volunteering with the folks at the Vendy Awards last fall, I was surely overdue for a visit to University City to embrace the street food of my youth. Still, intentions aside, we didn't get that far. 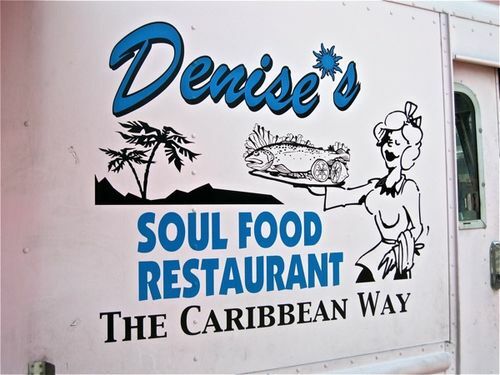 In fact we didn't make it much past 30th Street, where we sidled up to an alluring pastel pink truck called Denise's, which had won raves online for its Caribbean-styled Soul Food that promised to satisfy. Well, not literally. Mama Vamp has a mean left hook. Needless to say, I think I'll be spending more time on the streets when I visit Philadelphia. Call me a "streetwalker," if you will, but you best remember that I've inherited that mean left hook from Mama Vamp. Better to just mind your manners and pass me some more of that Jerk. First Calexico jumped the cart and hit Court Street in Carroll Gardens. 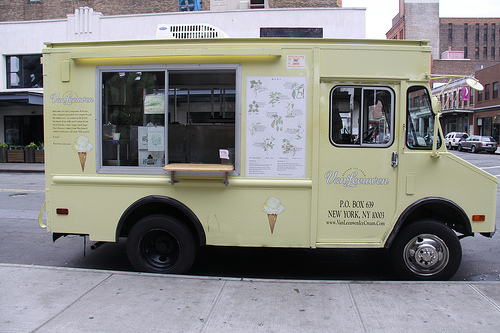 Then Dessert Truck decided to go all "brick-and-mortar" on the Lower East Side. Now word is that Van Leeuwen Ice Cream is going to have a storefront in Greenpoint. Taking the trend West coast, Kogi Korean Taco Truck legend Chef Roy Choi is heading indoors as well, despite LA's temperate clime. 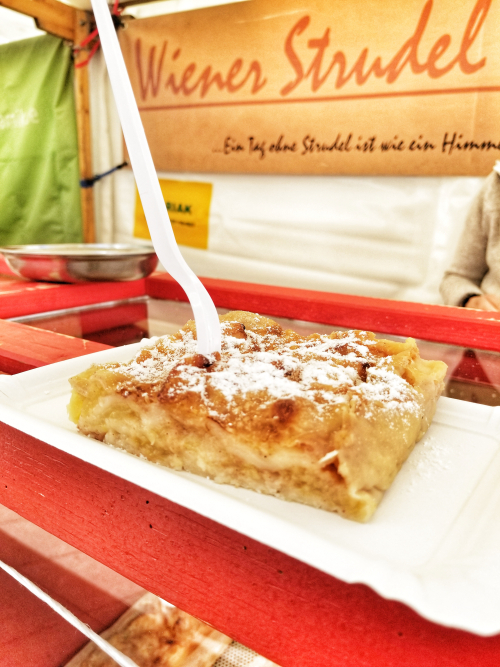 Still, there is something undeniably tempting about street food. Moving to a four walls and a roof situation just doesn't have the same vibe. 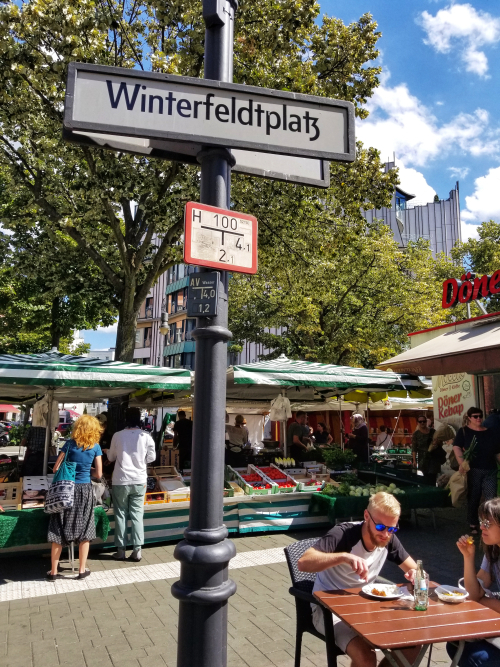 And, no matter how many street meat operations go restaurant, I firmly believe that dining al fresco from well-wheeled vendors is here to stay. If you agree, sign up as a Vendy Awards Facebook fan and start following their Twitter feed for good measure too.